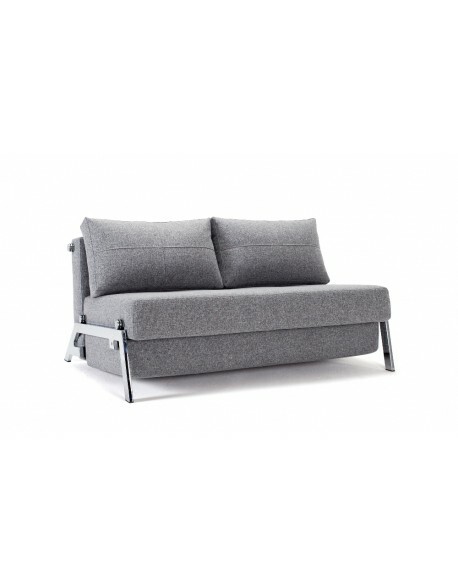 Innovation Recast Plus Sofa Bed | iStyle range with UK delivery. 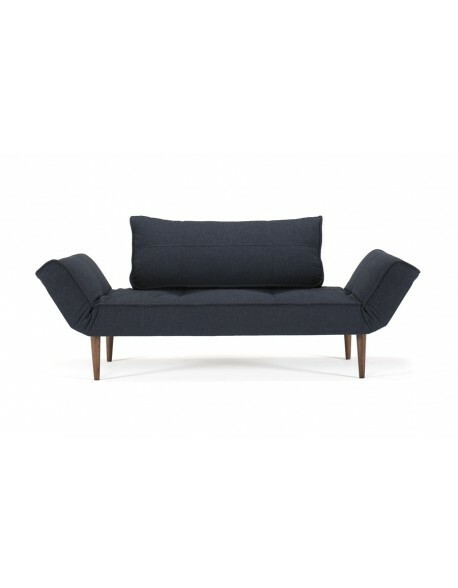 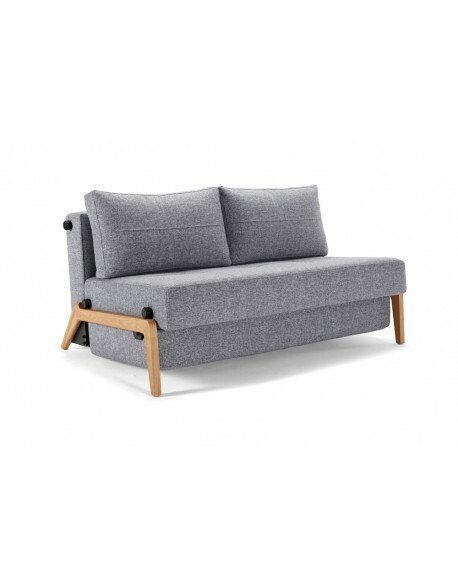 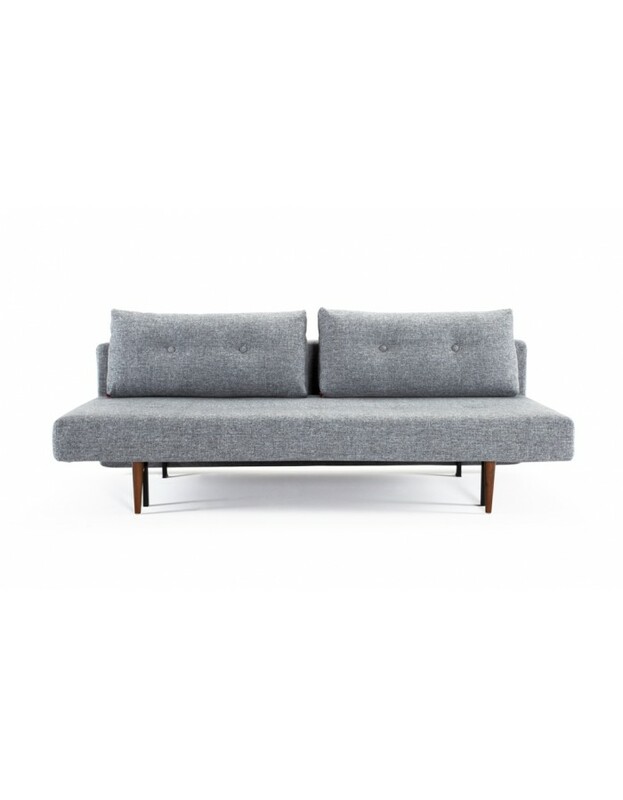 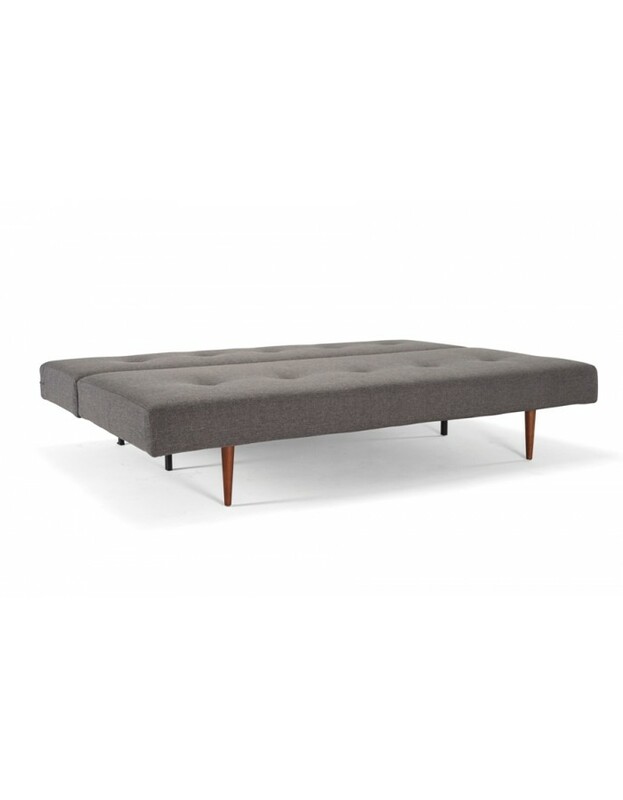 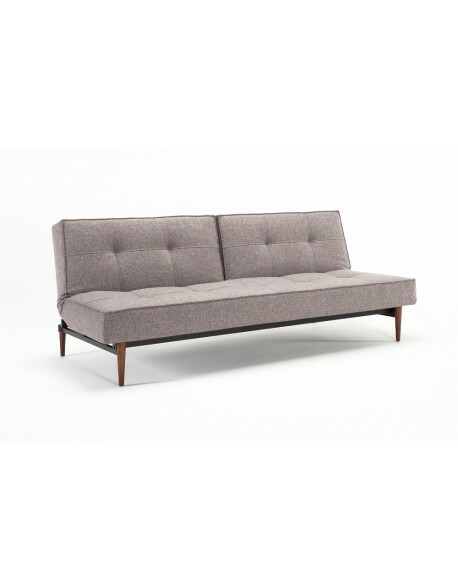 Contemporary Danish designed sofa bed with pocket spring comfort for everyday use as a double bed and sofa, in a choice of fabrics all with UK delivery. 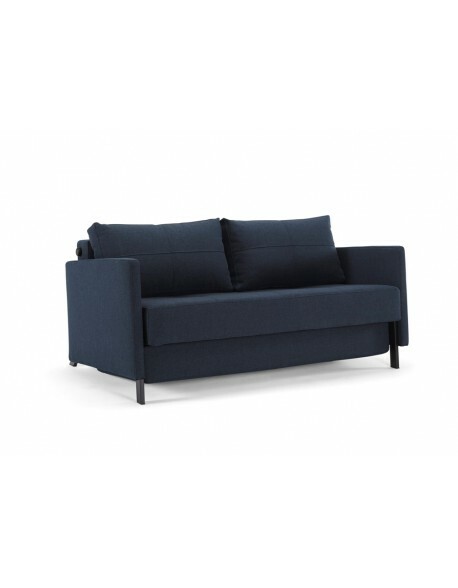 Select your Innovation Recast fabric. 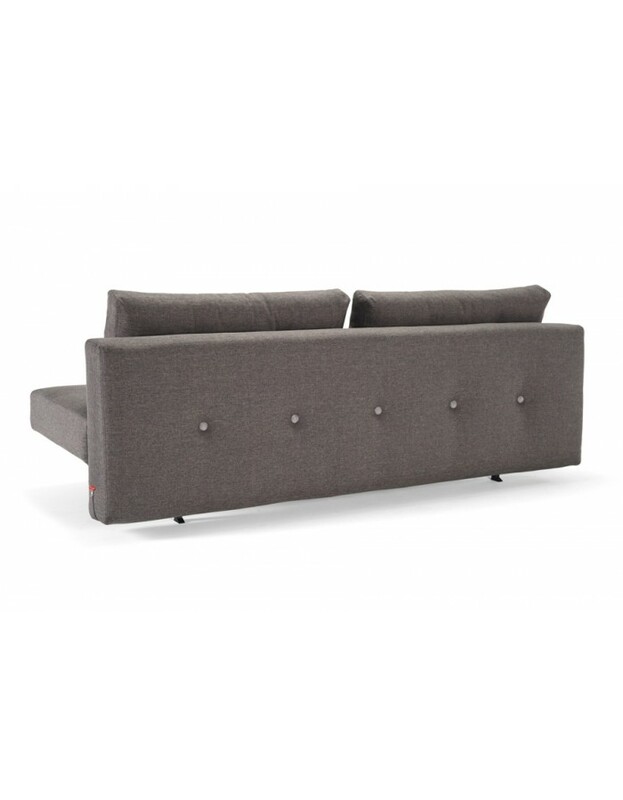 Select your Recast Sofa Bed arms. 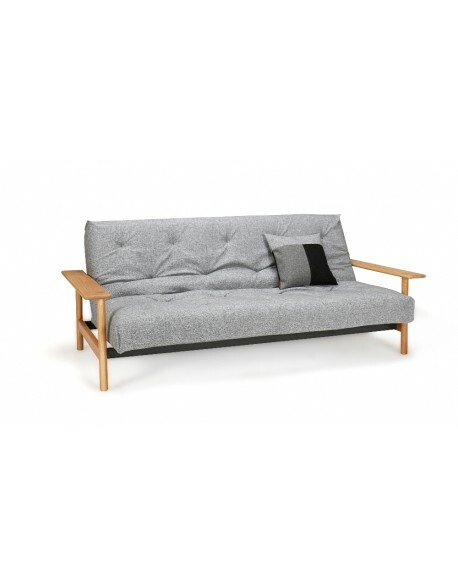 The Recast Plus Sofa Bed is designed in Denmark by established sofa bed and furnishing brand Innovation Living who have been manufacturing exciting futon and sofa bed products since the 1970's and the Recast is firmly one of our favorite designs for comfort and ease of use. 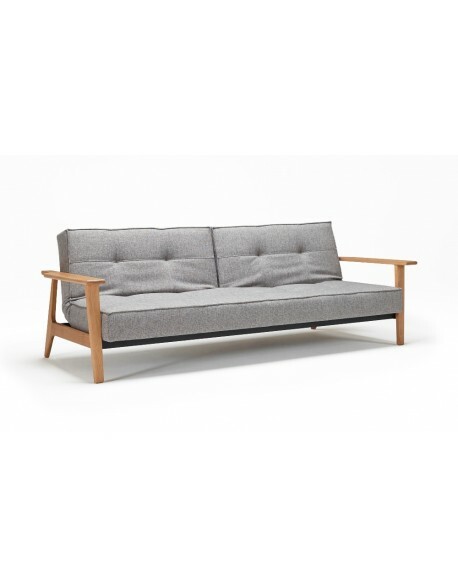 In true Innovation style the Recast is sturdily constructed around a steel frame which is then upholstered by Innovations trusted combination of pocket spring units, reflex foam and fibrefill tops all tailored in a choice of easy care fabrics, see the DATA SHEET above for availability and delivery times. 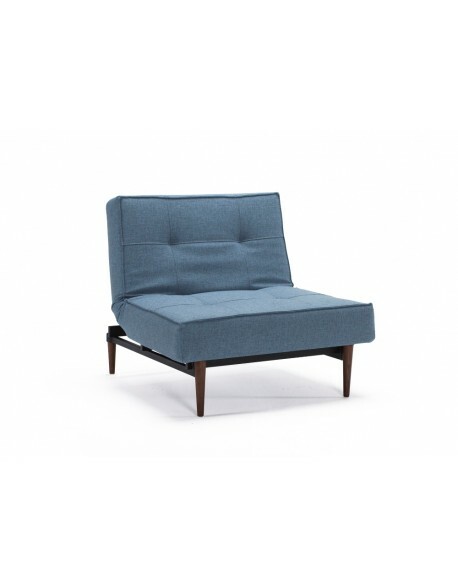 The Recast is finished off with contemporary style dark wood legs and can also feature a Walnut veneer armrest option for a classic modern style. 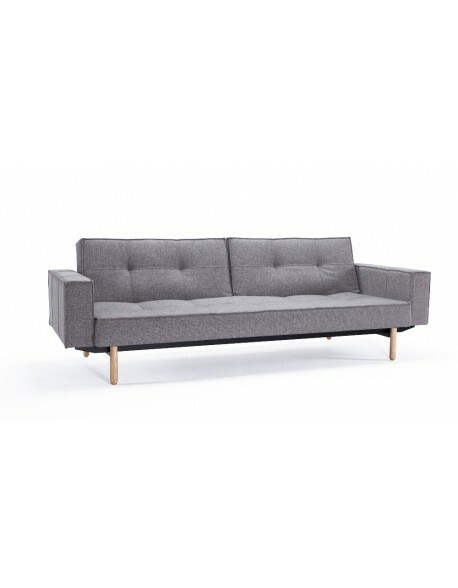 The Recast Sofa Bed coverts easily from a sofa to a full size double making it ideal for everyday use in your living area, home office or workspace. 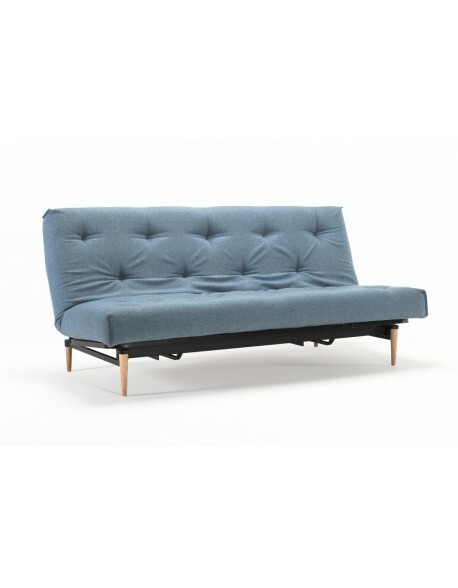 The Recast Sofa Bed is available with delivery throughout mainland UK, we have a selection of Innovation models in our showroom and would recommend calling us, or paying us a visit, for full details of the Innovation range. 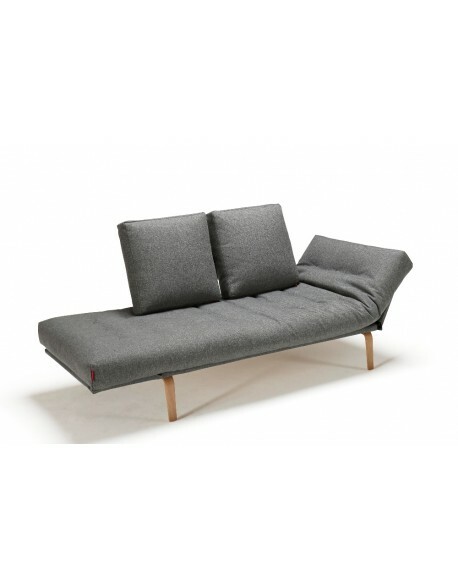 The Recast is available at present in Flashtex Dark Grey fabric from stock for quick delivery, all other fabrics on a 14 week special order delivery, please see product Data Sheet. 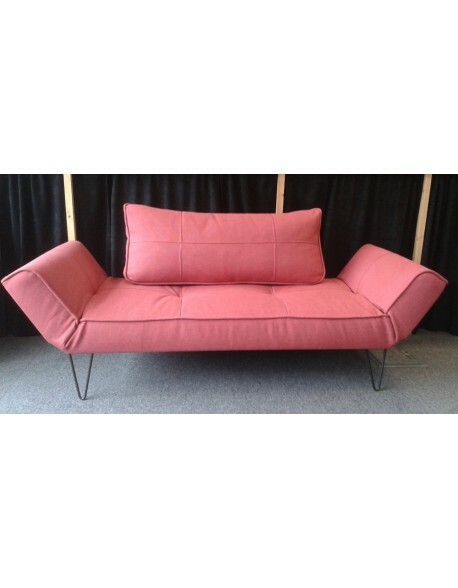 Please view the video below to see the Recast in action. 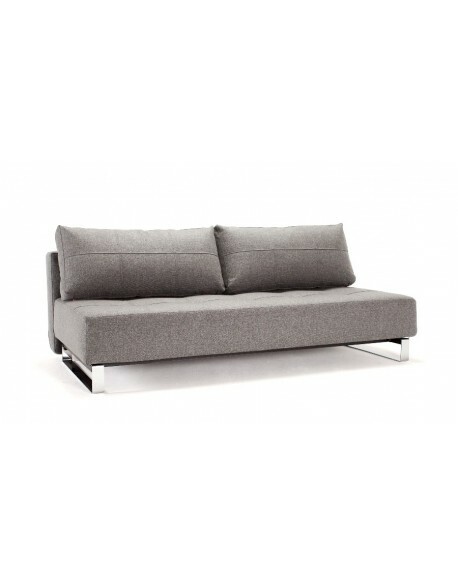 Innovation Sofa Bed Construction Metal internal frame with inner pocket spring comfort, topped with foam and soft polyester. 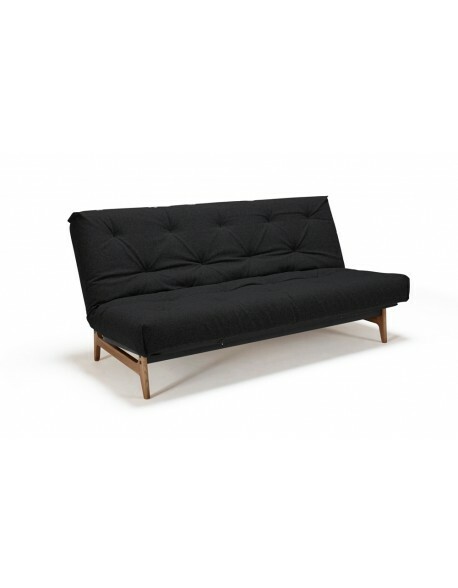 Upholstered in a choice of hard wearing fabrics. 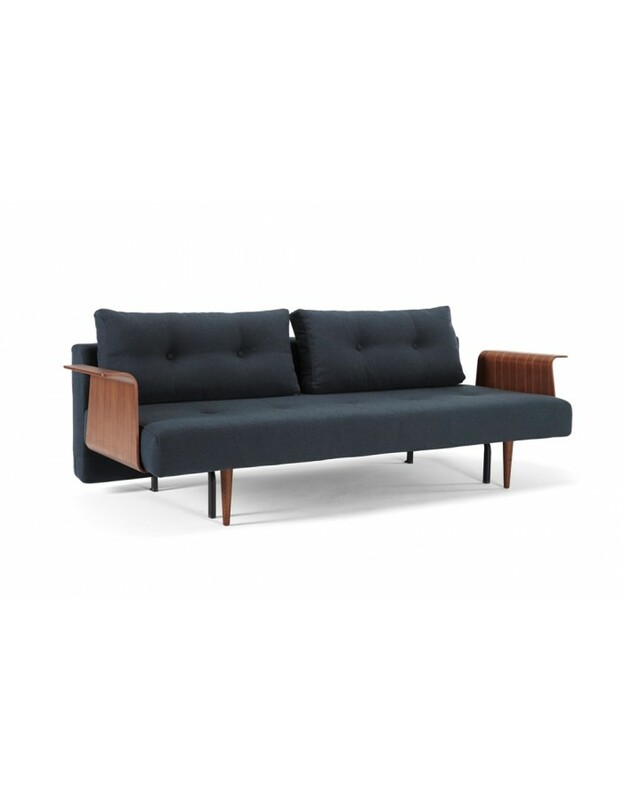 Dark wood styletto legs and optional walnut veneer arms. 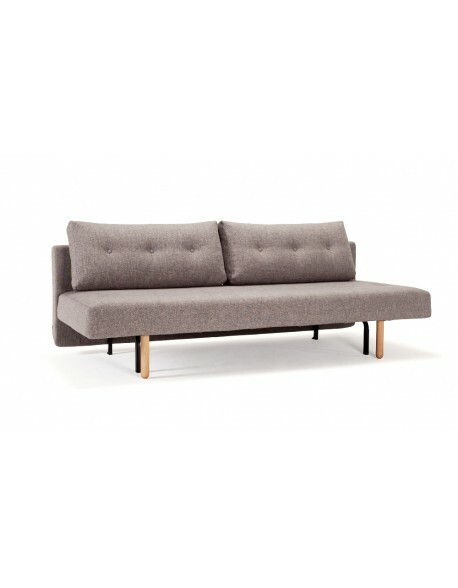 Fabric range delivery times. 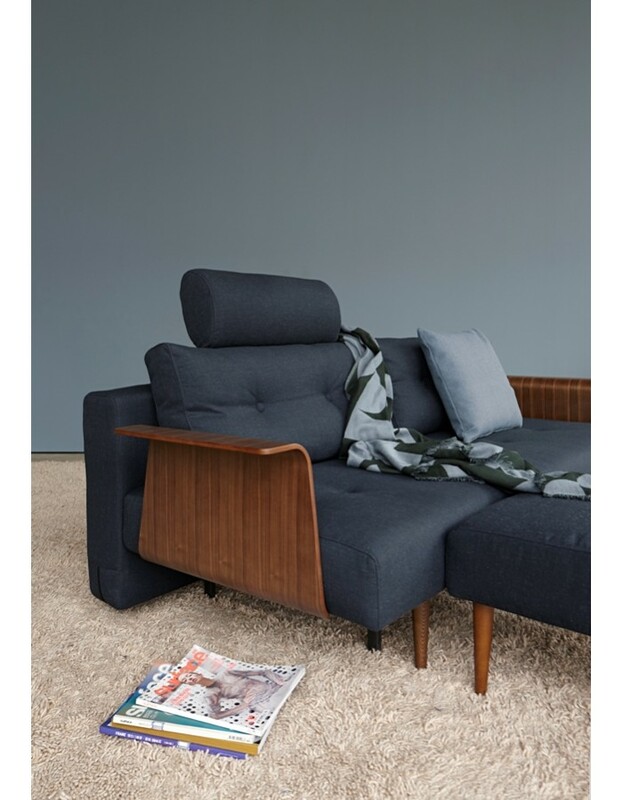 Available in Flashtex Dark Grey fabric from stock for quick delivery, all other fabrics are special order 14 week delivery from Denmark at present. 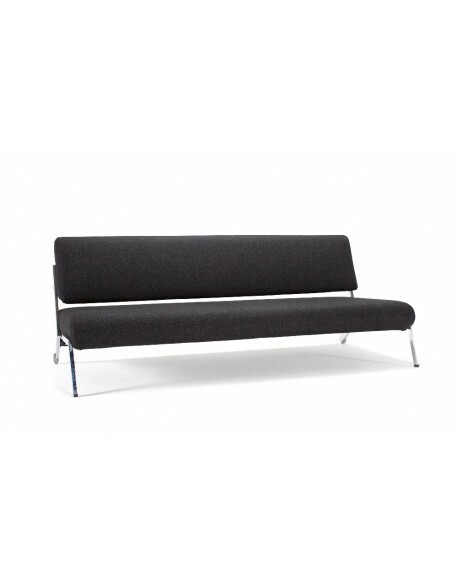 Please call us on 01752 662030 if you have any questions.